Above: Looking north at where the gatehouse to the upper bailey used to be. 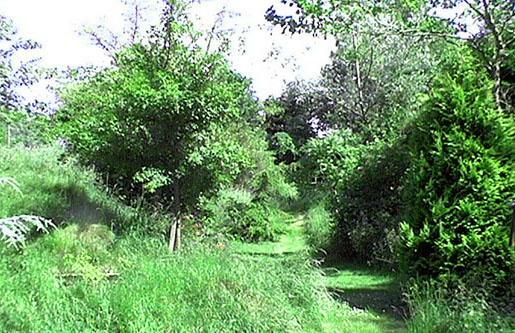 There is a 10 foot deep revetted ditch in the undergrowth to the right. Following the death of Llywelyn ap Iorwerth in 1240, the English extended their authority in north Wales as far as the Conwy and began the rebuilding of Rhuddlan and Deganwy as well as other castles. 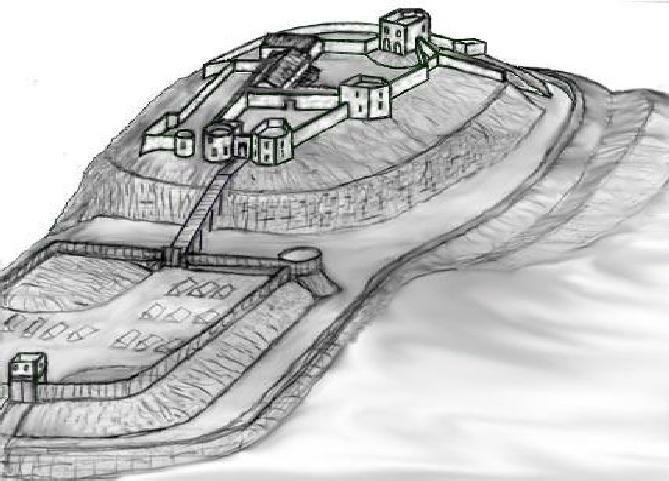 About 1245 a new castle was begun by Henry III at Dyserth at the northern end of the Clwyd range, in a position of considerable natural strength. 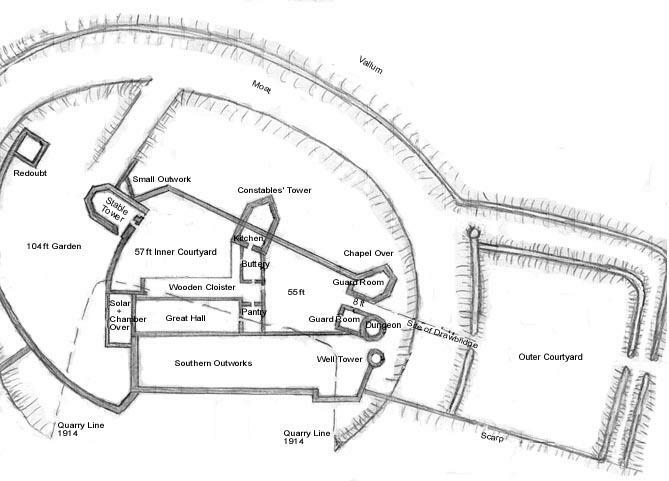 Dyserth was intended to supplement or replace the first castle at Rhuddlan (Twthill), long in dispute between the Earl of Chester and the princes of Gwynedd. 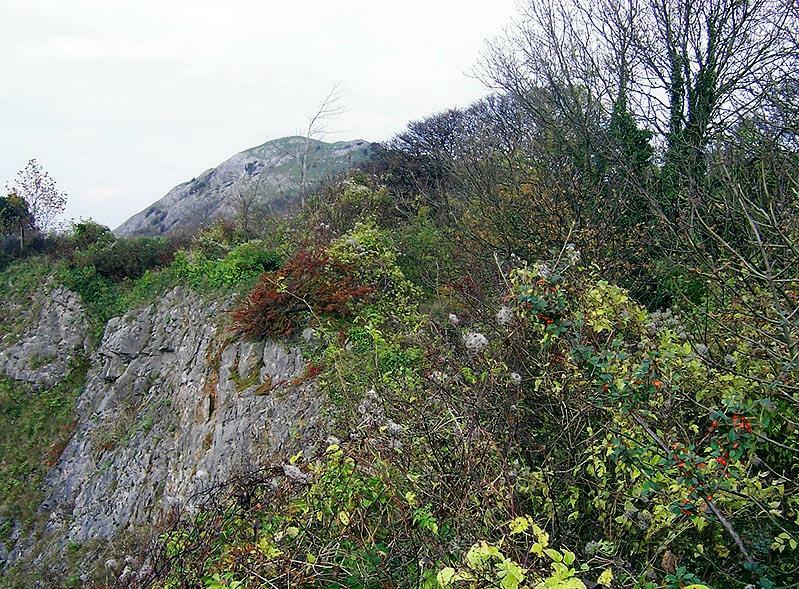 Both Dyserth and Deganwy were however, destroyed by Llywelyn ap Gruffydd in 1263 and appear never to have been reoccupied. The beginnings of this modest-sized English castle are a little confused - and it is also sometimes known as Caerfaelan, Carregfaelan, Castle of the Rock and Castle de Rupe. A castle was perhaps begun very close to the present site in 1238, but the position chosen of the structure must have been unsuitable, for another castle was built (or the first rebuilt) in 1241. However it started, the castle was attacked by the Welsh in 1245, and its short confused career came to an end less than 20 years later when it was destroyed in another attack. The castle ruins from the north as they would have appeared in the 19th century. The north east corner of the lower bailey looking from the east. 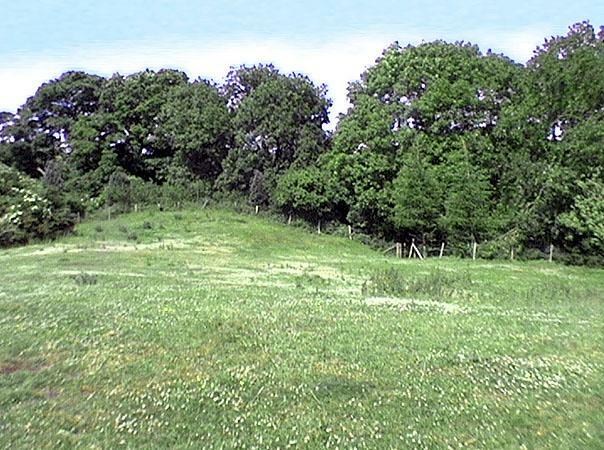 The substantial earthwork bank of the inner bailey can be seen in the trees behind a deep ditch. A counterscarp bank stands in front of the ditch behind the modern fence. 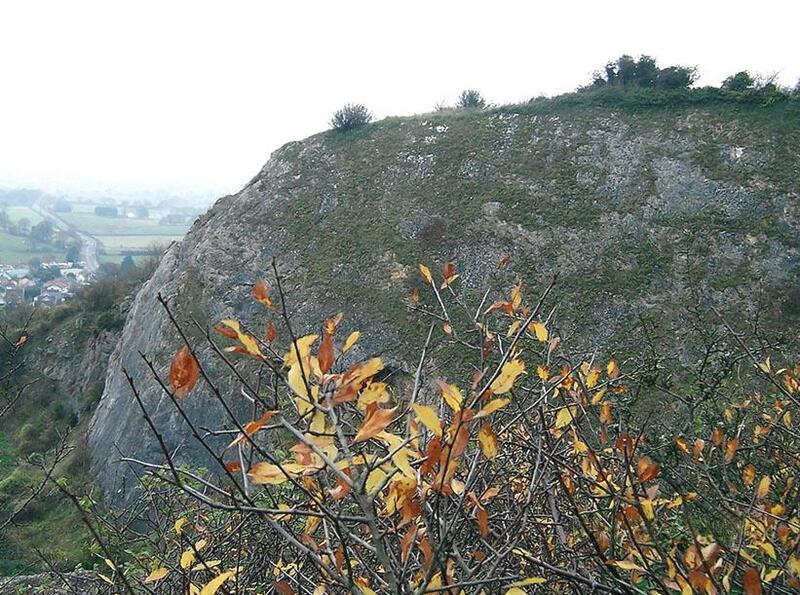 The Stable Tower stood on the rocky summit in the centre of this picture and the profile of what may have been a V-shaped rock-cut ditch can be seen to the right of the summit. The Constable's Tower stood at the extreme right of this view, overlooking a steep bank down to the revetted moat. Looking west towards Rhuddlan from the vicinity of the upper gatehouse. The cliff face was created in the 20th century but the steepness of the castle's south western slope can still be appreciated. 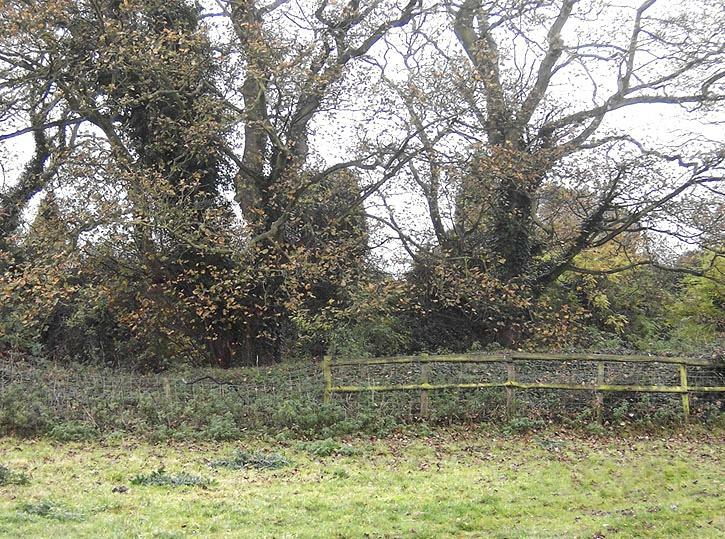 The line of the outer wall that ran from the southern outworks to the redoubt can be glimpsed at the top of the bank. 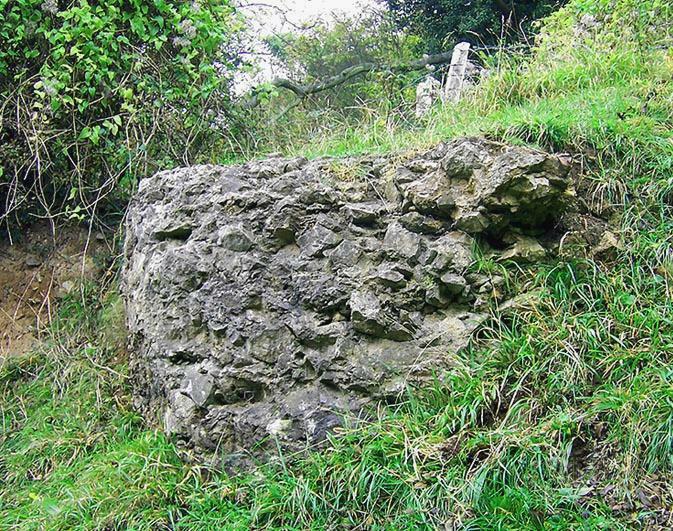 A large block of fallen rubble at the base of south side of the hill, which probably came from the vicinity of the well tower. It survived the wholesale removal of the castle's stonework as it has been built into the bank of the now defunct Mold to Rhyl railway. A view of the castle rock from the west. 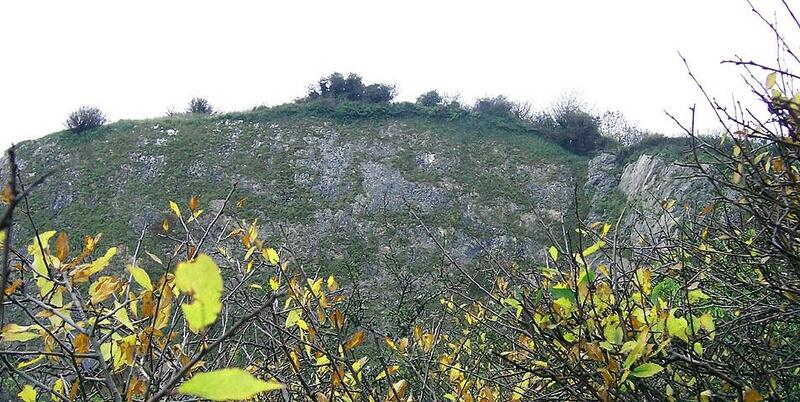 Most of the castle has been quarried away but the remains of the Redoubt can be seen as a small rectangular clearing amongst the trees near the top of the picture, just to the left of the cliff face. The stable tower stood on a rocky boss above it and the steep bank running down to the dry moat can be seen to the left. 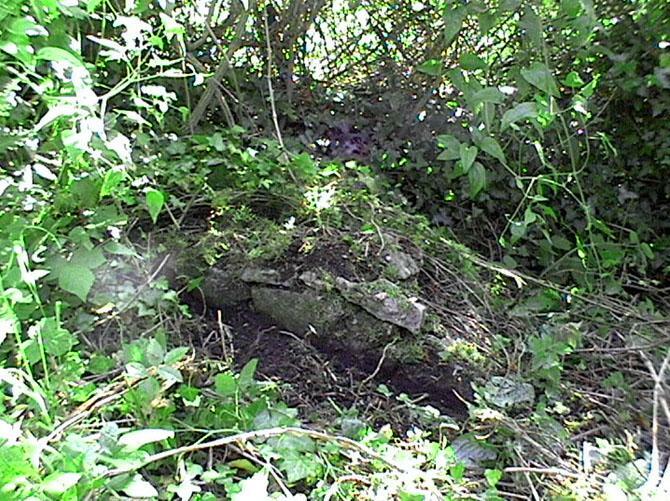 The foundations of the curving wall that leads south from the corner of the Redoubt can be glimpsed in the undergrowth. 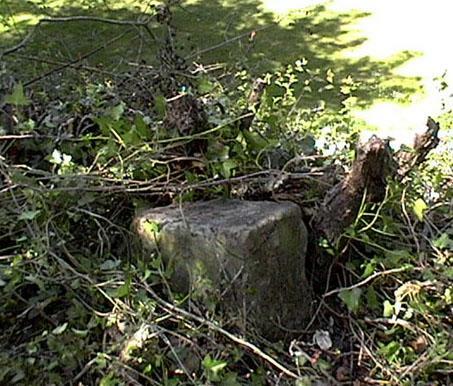 A block of fine ashlar lies on the bank below the site of Constables tower. Looking south from the vicinity of Constable's Tower at the summit of the hill. The main gatehouse into the inner bailey was at the left of the picture. The dry moat between the inner and outer baileys. The main gatehouse was on top of the bank to the right and the earthwork outer bailey is to the left. A raised earthern platform guards the north-eastern corner of the outer bailey. he site of the outer gateway is still marked by a gap in the fence. 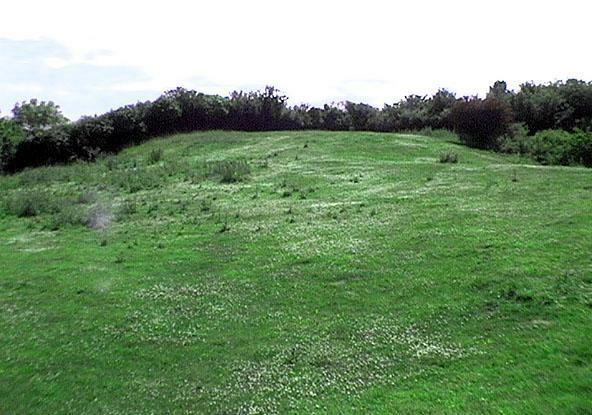 The south-western corner of the outer bailey seems to have been protected by a low motte. 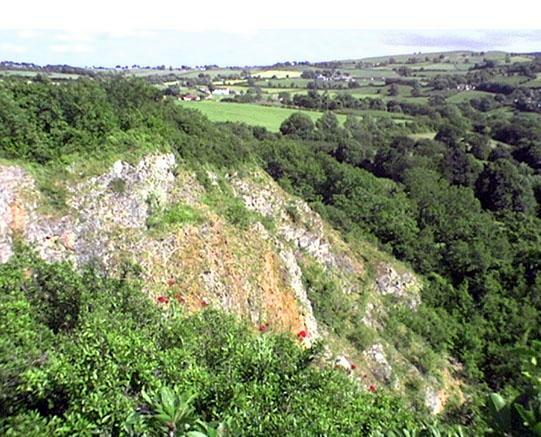 There is a steep escarpment beyond it and the course of the inner bailey's eastern edge can be seen in the treeline at the top right of the picture. A remnant of Henry's once-great castle of Dyserth? 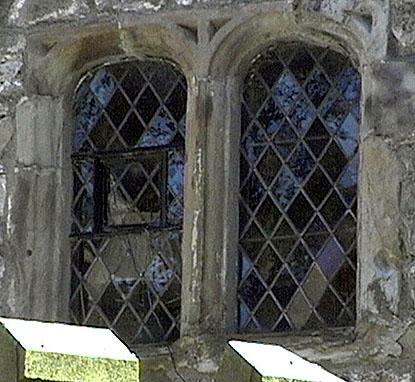 A pair of round-headed windows typical of the era have been built into the walls of a nearby house. Follow this link for a Welsh language version of this page!